Recently Kiros Asfaha released a new song which we will feature next week. Kiros took the right path by contributing a different song, breaking the monotonous choice of Eritreans artists to focus on dance-music, guayla, at the expense of the contemplative and relaxing music. But that will be next week. Today we will present to you a timeless revolutionary song about Jerusalem by the Lebanese icon Fairuz. “The Flower of the Cities”, an operetta, was released in Baalbek in 1967 and still remains an inspirational song to this day. Alongside Fairuz, credit for the song goes to the “Rahbanni brothers”, the famous Lebanese songwriters, authors, playwrights, and poets who are better known through the voice of Fairuz. Fairuz was married to Assi Alrahbani. The Rahbani brothers were so loved that when one of them, Assi, died in the middle of the Lebanese civil war in 1986, Beirut’s “warring Muslim and Christian factions declared a cease-fire and opened the city’s checkpoints…in order to make way for his funeral procession.” His brother Mansour died in 2009. 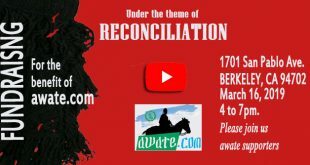 Out of the many translations of the original songs available on the Internet, we chose the translation by Prof Christopher Stone who reviews the song on arteeast.org. The original song by Fairuz is linked here, but we chose to feature for you a newer version of the song; it’s a piano duet performed by Ahmed Al Zemeeli and Mohammed Bashar. Enjoy the song which was listened by 568,943 people so far. The child and his mother Mary in the cave, two crying faces. With our hand’s peace is coming to Jerusalem. I go to inside the town to buy the news Yesuf Said CD for 7 years ago(it’s not new,but he renewed it)and then the owner showed me a new CD and he said”buy the CD,the CD is good “I asked him who is that?he said this CD all Deki Asmera loved it so I bought it. Tv Ere shown him Kiros Asfaha he said he comes from Adi Kaula from a peasant family.Then went well for him with his “Meat Were” but after a while a lot people can do better than him as it went well for them.I think I can ubderstand him,he get angry when he move to Tigria a friend told me that Weyane farmer Kiros has gone to his”I said who?”he told “the danger that omodren guy Kiros” he said he’s an Agame”. “then you are a Agame”he told me. Thank you. Baria remains to be the king of Eritrean Pop, along with Ustaz Alamin, Osman A/R, Bereket….but I think Yemane’s “zemen” album is definitive, in that it showcased the genius of Yemane and Abdallah Abubaker. It was a list I did while multitasking. I also forgot my favorite BB king from the blues list. There are many missing but that’s OK for getting the chat going. Today I present to you the top female guitarists of our time sampled by watchmojo. I chopped it at sister Rosetta Tharpe who is considered to be the pioneer of modern blues, rock and country music guitar, and of course a pioneer woman. 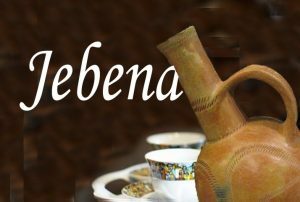 I have been looking for Abeba’s old song ጸላኢና ይፈለ very nice intro and sweet melody with a melancholy feeling, I could not find it. So here is one of her songs. There were few female guitarists (most of them struggling) but Abeba shuddered the glass ceiling, so to speak. She became independent musician, songwriter, and performer. When Abeba came to stage in 1980, they were putting her on top of a chair because she was too short (young); when she took the stage the audience would crowd her, sometimes challenging. Semere, that was not demudemu induced feeling. OK. Thank you. Rosetta, awesome. i don’t know if i did put this up before, stevie ray vaughan sound check , raw take. So here are two giants of the guitar. They will play Freddie King’s hideaway” piece. Now SRV in 1982, almost ten years before his untimely death. By the way, the great Jimi Hendrix still holds his number one spot in rolling stone’s 100 greatest guitarists 45 years after his death, age 27. Amazing! Anyway, here is SRV playing hideaway. Note: the guitars are different, hence different tones; plus individuality of the player, but all in all he did a good job. Thank you for spoiling my good Weekend by bringing this awra doro mesay fiTur. Being a role model? That’s a lot of burden you want to put on the shoulder of a 25 year old kid. What were YOU like at 25? What was your hair style? Did you grow out of it on your own or did you have role models you looked at to change it? You and I can agree that sexualization is happening much, much too early but I would say that The Weeknd himself is a victim of that and not its exponent. Right now, as we speak, there are 9 and 10 year old kids with a smart phone that has zero restrictions on use and, to extent there is a restriction on its use, they will circumnavigate it and they are reading and watching age-inappropriate material that would make The Weeknd blush. Do you have any suggestions for how to fight that? 3. Go to school, finish high school. Period. But, but, but, if you are one of those tiny majorinity for whom school is just hell, then be sure to have some passion that you pursue relentlessly. The Weeknd essentially made his career by posting videos on youtube. He had no distributor, no money. He practiced his craft over and over and over until he did something nobody in the history of music had ever done (and that includes The Beatles and Elvis): have three of his songs in top 3 of Billboard and R&B charts. That is pretty good role modeling. The rest is all superficial stuff that he will outgrow. You are just another Habesha, who excuses a kid who drops out of highschool leaves home and start living out of his van at 17. :-)All I am saying is (I think Abi is also with me on this) my Habesha fellows, make sure your children know little about Abel’s biography and follow his path..
Now, the kid. You keep forgetting one little minor detail as to why he left at 17: his parents were AWOL. Most likely, they are your kind of Habesha: unable to relate to the 21st century world. You are right against Saay. I am sure it is about music. Don’t worry, he is wrong even when he is right, like tolerating the foal mouthed kid. Unfortunately, the fame that black kids are influenced to aspire to can be attained by the following: 1) shameless nakedness and suggestive indecent dances, particularly women (now also men) 2) insult and campaign against a certain religion, and 3) sing vulgar lyrics degrading everything but mainly women. 4) be a tattooed criminal, graduate from prison and degrade, etc. Forget the media, but even the law lets them to be unruly and do what ever they want. When people like that of your caliber hate people simply because of their origin what an ordinary hater do you think can do? Now I can see even welcoming the Yemenie people. It is a good sign. Suppose those Yemenie people that you are welcoming them now warmly lived in Ethiopia for the next 1000 years. Just imagine (my wish is to return back home)! 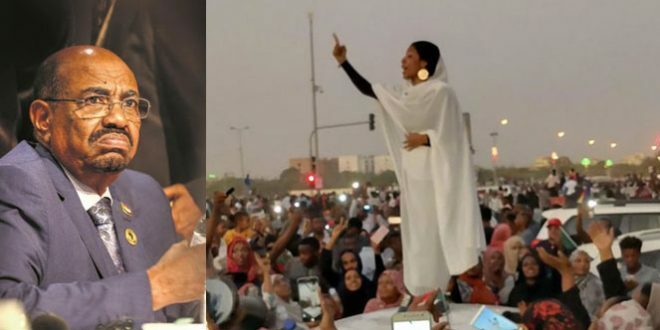 After 1000 years, sure they will be part of the Ethiopian family and their grand children might be more attached with Ethiopia than their Yemenie family root. And just imagine, individuals who will live in that era are calling these Yemenie’s Arabs and disseminate hate who were once upon a time were welcomed by wise people like Eyob. It is good sign that you got irritated. That was my objective. You are coming to humanity. It is exactly how we feel when you express your hate on Arabs. How about this. I do not want to have anything to do with Arabs. “I don’t like them”. That is my final answer. Put it in your “doctoral” dissertation. haha, if you don’t like them, why you are welcoming them then? ++ Abi is around. As usual he is trying to resuscitate though terribly failing in every attempt. I welcomed them, because I wanted them to see how they manage to teach Abeedeze to so many people. I agree with you that I am a terrible teacher. But I am terrible only for those terrible students. I believe you are one. Then I can see you are looking an advantage? Haha, well, no problem, interest matters. But do not use a deceptive tactic. Just be clear with them as you are now with me. Hmmm! Who are these ” we”? Do you think your love for the arabs is reciprocated? You keep loving them untilt kingdom comes. Don’t tell us to love them. Write it on your bathroom mirror. Read it every morning when you shave. I hope this is the last exchange regarding the love of arabs. The best love is unconditional love. LOVE no matter how you are loved. from this what we can learn is that just love without pre-condition; When you do, you will receive a reciprocate result no matter from whom. I thought you have ample lessons from Debteras* (aka Drs. in theology) of Gojam. Can you explain it for me. Curious! Really? According to our Professor Tes, Ethiopia is about 80 years old. He proudly told us Ethiopia is younger than Eritrea. Whoever is over age 80 must be an Eritrean. I have to admit Tes is the best cadre school graduate. He is hopelessly brainwashed. I think you guys have been a bit harsh on the weeknd. First I think the comment about his parents being AWAL, is not correct. What ever happen between his parents, I think it’s hard to judge, but I agree from what he said his father was absent from his life. As to his mother, from the little that I know and heard from people that know her, she is just an amazing down to earth human being. She had worked hard to provide for her son and family while his grand mother tended her child, that I think she did the best she can. She sent him to a French immersion school (which is not a requirement but by choice) which shows the great deal of efforts she has made to better her son and do good for himself. Not only that he is bilingual (tri-lingual adding Amharic), he ever write songs and sings in French (Montreal). In the interview, he said he recently bought his mother a house in Toronto but he also said, “I think she would happier if I got my diploma”, which I think says a lot what type of person she is, and that he knows what is expected of him. The problem I think the main reason who dropped out of school was not that he couldn’t handle school but he was expelled from his high school for probably a minor incident that young people get in trouble for. If it was handled properly, he may have stayed in his own school, but instead he was sent to different school where he has no friends and knew no body. I don’t know if it’s good reason but I can sympathize with him, because of that vulnerability that he got exposed. As much as Canada is good place to raise family and live, as a parent my biggest worry for my children is that, there is a too much of an influence of the bad, thug culture that is portrayed. And with that, the justice system, specially for blacks, may not be as bad as in the US but there is a great deal of discrimination and police harassment, specially towards the blacks. You may want to read about it, specially in Toronto, a controversial police practice called carding, that lots of people of color are a victim. As far as his influence of Yonge Ethiopians/Eritreans is huge already. When his grand mother died, recently, he come to the Ethiopian church, and hundreds of young people come to the big Ethiopian church in Toronto, for some to get a chance to see him, for others to have a chance to meet him. What ever his style, what ever his words and what ever his looks are, I think it’s a phase that he may be going through but I think, as far as talent goes, everyone should be proud of him, specially Ethiopians. Eyob, the news items you provided said, a black man punching a police officer in the United States. Are you for real? Don’t you read/follow and watch the clips, how the cops treat black people in America, let alone someone is punching, they just shoot black people just for the sake of it. I don’t know the details but it seems far fetched from truth, that’s the case. And you shouldn’t really make up your mind that easy…..now that he is famous and rich, everyone will want a piece of him. If he is to succeeded, I think finding his roots and connecting with his roots would be a the best thing for him. He said he may be going to Ethiopia, which I think will be a tremendous opportunity not only for him but for the country and the people. I stand corrected on his parenting and I owe his mother an apology. Please convey it to her for me: she sounds like an awesome woman. Even the “absenetee” father may have a reason for being absent: the rush to judgement was unkind. It makes me smile when Eyob talks about how the Habesha should protect their children from the bad influences when, most of the time, Habesha parents are clueless of what their children are into: their likes, their dislikes. I am not speaking as an expert; I am speaking as someone who has attended seminars by experts who have spoken to our Eritrean/Ethiopian children and what they hear from them about us and our inability to relate to them and, worse, to judge them by completely arbitrary and superficial standards about how they dress, how they talk, and how they groom themselves. Objectively speaking, saggy drop-crotch pants they wear are healthier than the super-tight jeans we wore; the oversized shoes they wear are better than the platform shoes we wore; whatever hairstyle they choose is less messy (and smelly) than the greasy Jiheri curls and mohawks we had. Coming from a culture where it was normal for men to wear ear-rings, men to braid their hair and our women to tatoo their gums, I don’t know where we get off with all out outrages about tatooes and ear rings. From an accomplishment standpoint, what the Weeknd has done in breaking through the cut-throat music industry, is nothing short of miraculous. Here’s to much success to him. I personally do not know her, but I have a good friend who was her neighbor and knew him since he was young kid, and remembers him as being “shy and sweet kid”. If she does read AT university, I am sure she accepts your apology:). As a parent, I really do not know how to navigate the complexity of social media, digital age and new fashion style…looking back it is probably not bad compared to what went on in the 70th…but limiting the exposure is probably the best way if possible. Saggy pants may be healthier, but I can’t put my head around when I see their under-pants fully exposed. If anything they will be unfairly judged and they will lose opportunity, compared to others. I do understand of all what you said. See, I have a young boy (about ten now). And, as a parent my worry is for him to look at someone, who resembles his heritage getting where Abel got, he would want to emulate him. He would make a kind connection, just because they share some heritage. He would want to make him his role model. Hence, he would think to quite highschool to become a dream chaser. Call it paranoia, but this is every parents fear, especially those of us, with the explosion of difficult to monitor digital era. It is becoming so difficult to point a direction to your children, and instead Internet and mobile phone does it for you. Therefore, when I see the kind of vulgarity and odd behavior that I want to shield my children from and when I think that, such behavior comes from someone, who I think most likely would want to emulate. I react. I know, I know. It is not his fault. He is doing his thing and it is his right. But, I was just reflexing my frustration that I have very limited option to protect my child from his songs or acts, that I believe should be age sensitive. 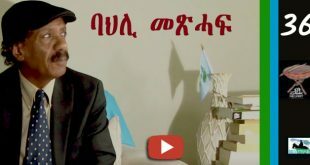 I actually admire the fact that he speaks Amharic fluently and he tries to reflect his heritage in his songs. And, I hope you are right. He will stay on his success and will grow out of his fads. Thank you. I am a parent as well and I do understand what you are saying. I personally think, first for his sanity and for his well being, if he stayed close to his roots, visiting his country, staying close with his people, helping his church etc..I think it will be a good thing for him. Second, if he is given to provide opportunity, to help out and do good thing for his people and country, I think he needs to be encouraged to do so. That way he appreciates the supports and the connection and that he knows that he is appreciated. This will I think will do a lot good for him and the country and the people, rather than trying to down play his achievement and making judgement on his looks, style rather than to see what he has already accomplished so far. Our kids will resonate and listen to him more than what we say to them. If he said to them, stay in school, do not make the mistake that I made for not graduating…etc..etc..I am sure he will make a lot more sense to them. 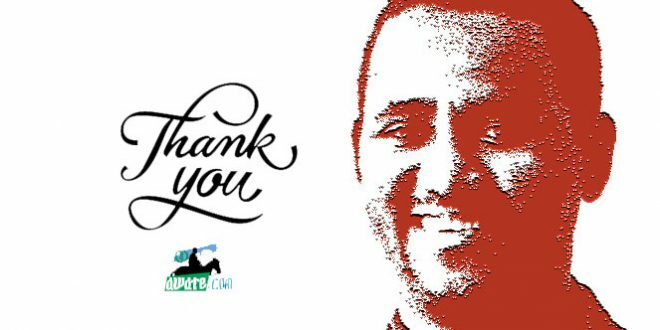 I hope the Ethiopian government, at the highest level and the community,appreciates his success and celebrate it. If he becomes the good ambassador, he will have the ability to inspire lots of young people and provide a positive image for his country of origin in particular and the black people in general. I think he can single-handily quadruple Ethiopian tourism if he becomes the image and celebrates. It’s a good opportunity for him and if possible we should seize it. We have to see beyond the little annoyance because he doesn’t quite resemble us (or what wanted him to look) but the great possibility and the potential for doing something good. Few months ago, I was talking to a Canadian friend of black origin about the issues that our children face. To me the solution is, I think, every black person who is in America / Canada or where ever they think their origin is, should be encouraged to take their children back to Africa at least once to visit and teach them who they are and where they come from. This will I think ignite some light and will allow them and guide them through out their life and if they are to lose focus, they will come back to it. The unconditional love, the belonging, the freedom they get to experience, I think would have a tremendous influence through out their life. In America/Canada, I think this is what makes the difference for Africans compared to all other ethnic groups. Meanwhile, I think Ethiopian government prefers promoting this for tourism and honestly, I am happy about that. CNN has been at it pampering us 🙂 for the last four weeks or so, but this particular one is my favorite. Please watch. No no no not THAT hometown. But your new home in Seattle. Heart. Nancy Wilson. Heart, the female rock band of all time. You love sons who carry on the traditions of their artists fathers. In case you don’t know, the drummer in the video is Jason Bonham, son of John Bonham, the deceased drummer of Led Zeppelin. Thus the kiss-blow to Jimmy Page and Robert Plant. And things are not going down hill Eyobai. You are such a pessimist: this is why I say you are the oldest young man I know:) All songs, old and new, about the better angels of humanity: love. Even techno music, EDM, is about that. Haha…I think we share some of them. OK, for me, if ever I’m stranded on an isolated island, I would share the following with you and add some more, provided there is power on the island, may be enough battery. I don’t like heavy metal any way, although I have some of the big ones. I listen to them rarely. I have some more in that line. Stevie Wonder, Sam Cooke, how about MJ…Al Green..
Alamin, Idris M/Ali…Wed Goret…BereKet, collection of Ma.Te Aa. 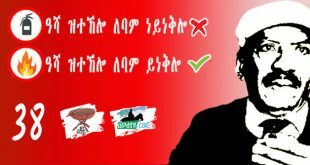 Mo/Wardi, AlKabli…MuluQen Melese, Ephrem Tamiru, kiros Alemayehu….add some more. You have a very good taste in Music. 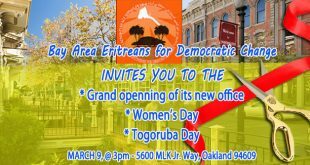 Our region: Osman Abdurahim, Yemane Baria, Tekle Tesfazghi, Alemayehu Eshete …. the rest are minor footnotes. EPLF: well everything is good provided fechew is there. No demudemu please. One of the least appreciated talents of Bereket Mengesteab is how he plays Oud. Here’s his classic “Wahyo nyew bela” where he was going after your EPLF:) Hdegu belwom gebar ketal’lu Hafash ketal’lu, he advised, but nobody was listening. More from my contradictions: I was once reading EPLF’s Fitewrari while listening to Bereket’s “Kem’u gerka aykonen, fitewrari sewra.” What can I say, I love my people. * inserted gratuitously to provoke Berhe Yeman. Wow!! Bereket wearing a wig! haha…OK, I need one of those wigs. Yes, “meley” and its sensations! Generations fought for it, just to be replaced overnight, anyway, speaking of wigs, let the great SRV take the stage. The Miley video reminds me of the scandalous movies where in a story of the the sixth century, you wil see an actor who forgot to take his shiny watch off his wrist, or land cruiser tire marks on the desert. It would have been nice if the photography was in dim lights, a little color correction to make it look old scene, and do away with all the gam-man pretend-dancers. And of course no wild close up shots on Befeket. It would have been a decent video. Now it is good only if you darken the screen and listen to the audio without the distraction. Thanks for this. I watched this song now, just now, again and again. I never imagined it has such an scripted song has that much deep meaning. From now onwards, I will again then appreciate his (Bereket’s) works. I believe our singers and writers are saying things that we are failing to understand constantly. Ghedli Music sounds like Derg era music in Ethiopia. This similarity is not accidental, it correlates with their dictatorial tendencies. They both killed spontaneous creativity in music in their respective countries. I agree. During both, the sophisticated urban music of both countries was replaced by that of the countryside. It was the same in football, the ‘faras’ took over. A devastation of culture that turned the clock back by two decades. You are right for some they may sound like the durg era, not to me. It depends on how one processed those sounds. I know all the Durg “kinet” songs or abyotawi zefenoch; they bring unique feeling of terror. They have their unique ambiance, smells, sounds, and events you associate with them. Ghedli songs on the contrary remind me of a time of hope, a time of trials and trepidation, and the resilience of human spirit…(TBS). I agree that dictatorial climate curtails spontaneous creativity. I do agree. However, you have to see each of those systems separately in order to pas appropriate judgment on them. Ghedli songs were reflecting the mood of the people of that time, meaning, they were not shoved into the ears of listeners while Dur’s songs were made to represent Durg’s brutal regime and were censored and propagated by state power. 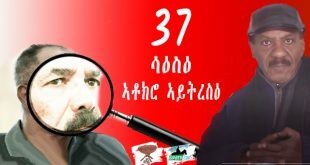 The difference is: Eritreans liked to hear ghedli songs while Ethiopians did not really like to hear Durg’s propaganda songs. 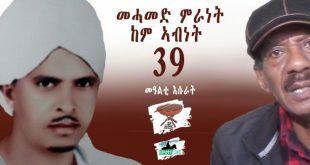 Eritreans ghedli songs were a continuation of what Yemane Barya, Eng.Asghedom, Alamin Abullatif, Osman A/r…Atewbrhan Segid…and others had sung. Therefore, the audience would want you to sing those patriotic songs. My dear MN, it depends on the feeling of the era certain songs are sung. For instance, people like Ephrem Tamiru, Tshaye Yohawns (except at certain times), Kiros Alemayehu….MuluQen (before getting evangelized)…Mahmoud Ahmed…Alemayehu Eshete…did all sing about beauty…nature….and general patriotic songs (not specific propaganda songs. And their artistic works endure. On the contrary, even Eritreans who were outside the sphere of ghedli did have the same ghedli feeling in their works (except Sami?). I am coming to say that while ghedli songs were reflective of the general feeling, Durg’s songs were enforced upon the public (except some general patriotic songs that transcended regime changes. While Durg censorship was state enforced and centralized, ghedli censorship was largely at the level of self-censorship mainly imposed by the general feel of that time. I can agree with today’s PFDJ music industry. Hi the Greatest MS, who ever works in the foyer of TBS biulding will have a good time with this kind of selections. If Abi decides to show up, i am sure he will, this will make him feel at home. Hi Greatest MS, if you have some thing from Gojam with unadulterated beauties , he will come out of his hole.This will do. But seriously, I used to hate those “stranded in a desert island” questions. Unless you can back up a Mack truck, I don’t know how I would make a choice because the world has produced so many essentials that they number in the thousands. I agree that groups such as The Kinks, Journey, Blue Oyser Cult, Guns and Roses, Poison, Kiss, Iron Maiden, Black Sabbath, Motorhead, Lynyrd Skynyrd, ZZ Top, Pat Benatar should be included in any selection. But The Rolliing Stones are R&B. The Beatles, The Eagles, U2, REM and The Who are not proper Rock, they are Pop playing for teenage girls. 1. The Kinks: the first trans-gender song ever? El O El A, Lola. 2. Journey: their “just a small town boy” song forever ruined by The Sopranos. Now I hear that damn song even at the dentist. Overexposed. Journey replaced its lead singer by a person who used to do cover songs. So a rare case of being a fanatic fan pays off. 4. Guns and Roses. Favorite line from “welcome to the jungle”: you can have anything you want but you better not take it from me. 6. Kiss. Pass very very quickly. 7. Iron Maiden. Guitar lessons for a misguided gothic era that I outgrew thank God. 10. Z Z top: she’s got me under pressure. There was a stupid dj who used to do theme song contexts asking whether that or David bowies “under pressure” rocks more. 11. Pat Benatar: when MJ was huge and influential she tried to copy his Thriller dance with “we are young.” Terrible dancer. But, you did not comment on Black Sabbath. How about, more of the same, Jethro Tull, King Crimson? Jethro Tull, King Crimson were, along with Blue Oyster, too acid for me. T-Rex, um, I settled for his more palatable twin-separated-at-birth (generation apart), Billy Squier. Did Thin Lizzy ever do anything besides jailbreak? Sorry, never got into Thin Lizzy. Was into Thin Duke, though. I have not heard of groups such as Rage Against The Machine, Nine Inch Nails, and System of A Down, which implies that they are not that good (a bold assertion). On the other hand, if a person listens to Pink Floyd, Yes, Deep Purple and Led Zeppelin and says does not like them, then I will not trust this person (an outrageous assertion). The hand that feeds. Phew. * If you want to see Tom Morello’s unique (sorry, Mahmouday, better than Jimi) guitar work, listen to his appearing with Bruce Springteen and shredding “Ghost of Tom Joad.” If you want to bypass Bruce’s socialist creed and just want to listen to Tom Morello, start at the 4 minute mark. ** I was in New Orleans and I am such a fan of the lead singer Trent Reznor that I actually took a guided tour of the city to see his house. What a great artist. His “hurt” was covered by Johnny Cash before he died. You are mistaken. The issue here should not be when the bands were established but the quality of their music. Furthermore, the bands of choice, those that have not split-up, are still producing new material. I have checked the groups you provided links for. To me they are all average bands, their pieces will be forgotten after few years. The first group is not Rock, it sounds like a cross between Punk and hip-hop; the second one is cheap Techno type of music; the third one is tends also to be hip-hop. I am glad to hear you saying “How long ago the bands were established should not count against them. ” If that’s the case, how come the YOUNGEST song on your list is from the mid-1980s, ie 30 years ago? A lot of the so-called Classic are classic because they acquired fame when music distribution was entirely monopolized (1 FM station that plays their genre of music per city.) Now, in the age of iTunes, YouTube, Spotify, LastfM, Pandora and hundreds of streaming sites, nobody has lasting power no matter how awesome their music. Can you recommend to me a song from a band that was formed in the 1990s, 00s and 10s? If you can’t, I am afraid it had little to do with the dearth of high quality music but their refusal to give it a listen. You are wrong again. The fame of the classic groups has nothing to do with promotion and music distribution. These groups acquired fame performing in pubs and underground concert venues. Furthermore, fame circulated through word of mouth and reading newspapers such as Melody Maker and New Musical Express (NME). This is the story of Pink Floyd, Deep Purple, Hawkwind and similar groups. Hawkwind, in particular, were known for turning up in concert venues uninvited and performing for free. On the other hand, groups of the 1990 is mostly manufactured talentless entities that have sophisticated managerial backup. here is one of the videos of Tedtalks i came across, and i think is interesting . if you know more about this ethiopian-american music composer, singer and song writer, please, say what you know. i will appreciate it. although ethiopian, i hope eritreans will enjoy the talk as well, for i believe that in everything ethiopian there is always something eritrean, and vise versa. I attached for him yesterday so to let him take a bit peace of mind. by the way, there is a subject to discuss about here. the power of Music, sound and Yared of Habesha etc. the women here has given us the starting point to go through. Sound, everywhere there is sound and it is connected with our brain system. let’s go talking about it. He has a mission and he said ” be” and it is. an instruction was given by sound then immediately light appears. so sound was the result of vibration. everywhere there is sound and no silent space.the mystic sound …. Eyobay, all my respect to you. much to go but you are fallowing things. the world own still great men an women like Mekit Hadero. they are but unseen between this disturbed world. She was accused for being spy and it is easy for someone who is lost between politics and religion to trust such accusations. politicians are terrorized and lost watching always outside solutions. that is what I was always mentioning if you notice. Mekilt face movement is to show how much the brain is connected with sound and how much it moves the physical body. things are more than that, for her unable to say it but she fully understands. It takes calm mind who hears the internal feeling to get the idea. she brought ST. Yared here and explained how he was able to master sound yet she didn’t say it all. the man have gone long distance out of the material world searching it . the lesson is deep — how the sound takes you to the finer world an how it brings you back. it requires still good research to find the entire story. Aha, you angry man…do you know now I am concerned about our religious history ? in fact I am going to talk with you the mystic of sound in our religions all. say it Islamic or christian Mazuma and it’s power. That is common land for all of us. The motto is finding all common lost ideas and join them all. that works in every field including in Politics.